Anyone we’ve ever helped in our shop knows customer service is king here at Collision Specialists in Tacoma and Kent. Our auto detailing services take no exception to that. When you bring your vehicle in for repairs, we will be happy to perform auto detailing. After an collision, your car might need car paint or dents removed. Once those auto body repairs are done, we will gladly wash, wax and clean your vehicle to the highest of quality standards from bumper to bumper. Need the interior of your car or truck detailed? Car interior cleaning is something we can perform for you when your car is here in the shop. This is just one less thing you are going to have to stress about after your collision. 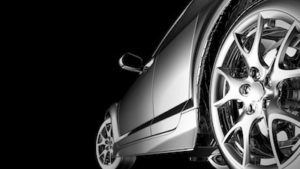 Collision Specialists in Tacoma and Kent has highly skilled and meticulous auto detailing professionals. We provide vehicles visiting our shop with an exterior wash and interior cleaning. For those customers who wish us to perform a complete auto detail service during a collision damage repair visit, we are more than happy to provide it for them. Our auto detailing service is one of the best kept secrets in Tacoma! We’ve earned the loyalty of several returning auto detail customers by doing the right thing and taking care of their auto detailing needs along with their repair needs. Our convenient locations are rapidly becoming a favorite stop for returning auto detail clients who are also sending their friends. It is always our pleasure to help customers feel comfortable and proud of their vehicle’s presence on the road. Call today for more information on our vehicle detailing services. We can be reached during business hours at 253-476-0564. Auto detailing consists of having your car or truck's interior and exterior cleaned and waxed.